The following is an example of the way in which you should approach the testing of your PPC Campaign. Obviously this is just an example and therefore it is designed to be as open and as basic as possible so as to be applied to any style of PPC Campaign that you might be running at present. However, the contents will still be incredibly useful. Read on! Step 1: Take stock of the current performance. You must think about the current performance of your PPC Campaign before making any changes to it and you must be fully aware of a number of different areas including daily budget and CPC. Before attempting to change anything in a PPC Campaign it is really important to print out a keyword performance report for the last month. Look at the daily budget and whether it has been used every day or not. It might be worth investing a little more in the daily budget if it is being reached quickly thanks to a high CTR. Look at your PPC Campaign reports carefully and be aware of the campaign’s current status. Step 2: Which keywords get clicks? Most PPC Campaigns have at least 1000 keywords and normally there is a small group of those keywords which spends the majority of the daily budget. Therefore find out which keywords are spending the most money and study them. For instance, are they converting or are they wasting the money from the budget that they are using? If they are converting, maybe you will want to increase the budget on these keywords so that they guarantee you a higher advertisement position on the SERP and help you to reach more internet users on a more regular basis too. On the other hand, perhaps the keywords that are spending the majority of the budget are also the keywords that are wasting advertising because they encourage lots of clicks but do not result in conversions. In this instance you might want to pause these keywords to see what kind of affect this might have on your PPC Campaign (paused keywords can always be switched on again at a later date and so there is no risk in experimenting here when keywords are spending too much money for no positive result). Step 3: Creating new keywords and negative keywords. Having studied the keyword activity that is already in your campaign, you may now begin to see some patterns emerging. For instance, keywords that include the calls-to-action, “buy” or “invest” or “purchase,” might be the keywords that convert the best. Therefore create more keywords using this type of language in the advertisement text. Perhaps your keyword analysis will have revealed keywords that get lots of clicks and spend the budget quickly, but do not achieve conversions. It might be an idea to make those keywords negative keywords for that PPC Campaign. Step 4: Save your work. It is VITAL that, once you have made changes to your PPC Campaign, you save those changes and it is important to save those changes in the Google AdWords Editor. You will be able to load your campaign quickly if you need to make further changes later on from here. It is also easy to put things back to the way they were in the Google AdWords Editor. Don’t forget that Google AdWords has also launched the AdWords Campaign Experiments (ACE) tool, which allows you to test and monitor the changes to your keywords and bids, etc. in a safer PPC environment. Every single time that you make a change to your PPC Campaign you should be even more vigilant than you normally are. Note any changes, but avoid the temptation to put things back to the way they were if the initial campaign reaction doesn’t look good. PPC Managers must have patience and must avoiding fretting unnecessarily in order to be successful in this line of work. Let things play out for a while before deciding that the changes you have made are not positive developments. Having said that, if you are losing $1000s a day because of your changes, it might be an idea to pull the plug on that PPC Campaign immediately. Step 6: Were the changes successful? After a sufficient amount of time has passed, make a decision. 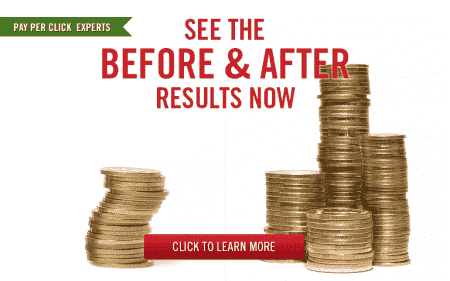 Were the changes you made to your PPC Campaign successful changes or not? If so, it might be an idea to optimize the campaign even further along the same lines as before. However, the most important thing to remember is to first make a judgment, formulate your plan and then do it.